David and Victoria Beckham divorce statement. Do we believe it? What the Beckham's are saying about the divorce rumours, and why we're not buying it. It’s the story building traction and momentum despite the relentless attempts to quash it: No thanks, they say, Posh and Becks are just fine. 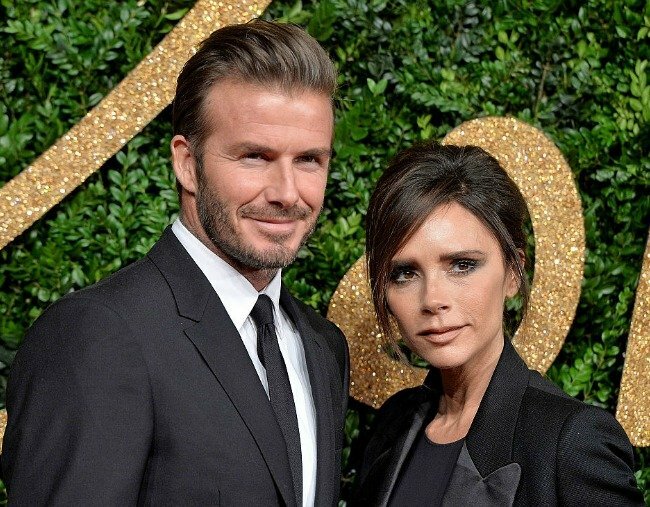 On Friday, Twitter exploded with rumours of a Victoria and David Beckham split, with British radio and TV presenter Jonny Gould tweeting ominously that the couple would be “trending later”. Harper (the couples 6-year-old daughter’s) teacher has been fired for being pregnant with David’s baby. Alternatively, the couple is getting a divorce, and the school teacher has already HAD the baby, and Victoria will be discussing the split in the August edition of Vogue. Victoria Beckham is about to drop this info. Imminently. In the wake of this story, representatives of the couple have come out with a fierce defence. It was decisive, cutting and acerbic. The message, too, loud and clear: They’re still together, don’t argue with us. David Beckham has resumed normal Instagram activity while on a working holiday in Miami, Victoria, meanwhile, has kept up the appearance of family back home. “Morning cuddles x So much love. We love and miss u @davidbeckham,” she wrote on Instagram with daughter Harper on Friday. “Fun dinner x kisses from us all,” she wrote on Saturday. And while the story could well be one the world deems mindless gossip for mindless folk, the rumour is too strong for us to consider it just – as they say – ‘fake news’. First up, betting agencies don’t just suspend betting without hunches of their own. Added to this is the line of thought that the rumour broke loose because Victoria has sold the story to a magazine – perhaps having done the interview already – and therefore cannot comment on the rumour until the story is published. And then, well, there’s history to consider. Namely, the couple’s response to early reports of his affair with assistant Rebecca Loos 14 years ago. Unfortunately for the couple, soon after that statement, Loos sold her story and confirmed the affair. At least two more women have claimed to have slept with David, and in 2005, a former nanny told News of the Day the couple’s marriage was a sham. In an interview in W magazine in 2007, Victoria admitted, “there have been bumps along the road”. Of course, naturally, the two may be trying to stick it out. We shouldn’t immediately and wholly discredit a statement they’ve issued regarding the status of their relationship. After all, they have four children, Brooklyn, 19, Romeo, 15, Cruz, 13 and Harper, 6, and have been married since 1999. It’s just that when it comes to the Beckhams, history shows smoke and fire have had a pretty strong correlation. To dismiss the rumour as merely rumour is to forget the controversy that has surrounded them for over a decade. It’s more than possible that this “fake news” isn’t fake at all. But for now, only time will tell.